At Paynes Prairie Preserve State Park, bison and wild horse roam free amid one of the state’s largest and northernmost grasslands, a shallow basin cradled in a park 21,000 acres in size. At times it is ablaze with wildflowers; at other times it becomes a massive lake. 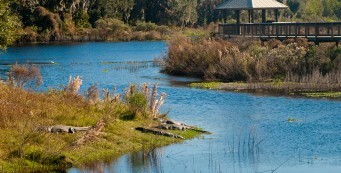 The park is a massive landform bordered by Gainesville and Micanopy, with several entrance points. 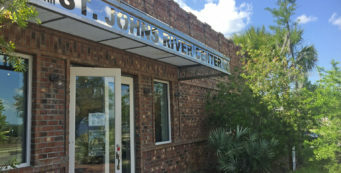 The main entrance is off US 441 north of Micanopy at Savannah Boulevard. 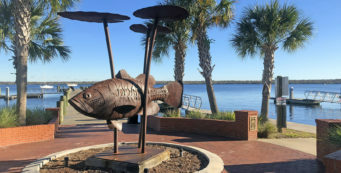 A popular secondary entrance is in Gainesville on the north rim, providing access to the Gainesville-Hawthorne Trail and the La Chua Trail, with its boardwalk out to the prairie’s primary drain, Alachua Sink. In 1765, botanist William Bartram described a visit to the village of Cuscowilla, on the edge of a vast prairie, where he met with the great chief Cowkeeper. Bartram’s written record of “the great Alachua Savannah” in his “Travels” helps define what Paynes Prairie Preserve State Park is today. Because it’s so large, the park has numerous entrances and trailheads, some of which are free to visitors. Bolens Bluff, a loop trail above the south rim, was free for years but now has a fee. 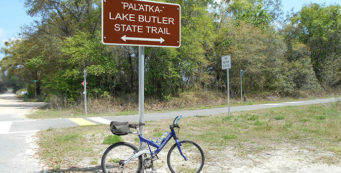 Prairie Creek Boardwalk, off the Gainesville-Hawthorne State Trail, is free to access, as is the popular wayside boardwalk in the middle of the prairie along US 441. 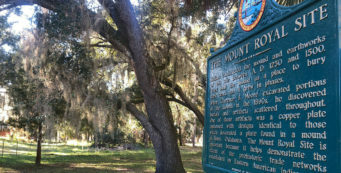 The park’s main entrance, just north of Micanopy, provides a scenic drive through jungle-like floodplain forests back to the visitor center and museum. It’s also the access point for the campground, lake, equestrian trails, and trails on the dikes out to the prairie. 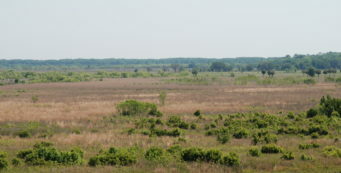 Be sure to walk the short Wacahoota Trail for a birds-eye view of the prairie from atop a tall observation tower. For sheer drama, visit the La Chua Trail near Bouleware Springs. 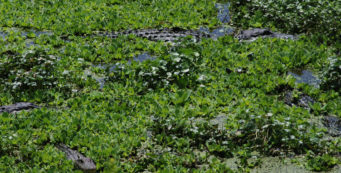 It’s a boardwalk snaking past the sinkhole that swallows up the prairie’s creeks – when it clogs, the prairie turns into a massive shallow lake – past basins so thick with alligators they look like cereal in a bowl of milk. Now you know why this is Gator Country. This, too, is why pets are banned on most of the trails. The prairie is well-known to herpetologists for its diversity of reptile and amphibian species, many of which don’t play nice with dogs. 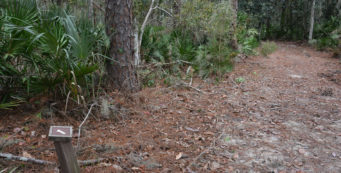 Keep alert for snakes and alligators as you explore the trails, as they are both in abundance here. 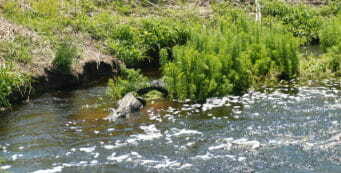 Alligators Everywhere- In spring, alligators become more active as the days warm up. 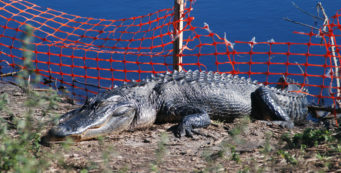 It's also mating season, so alligators are on the move. 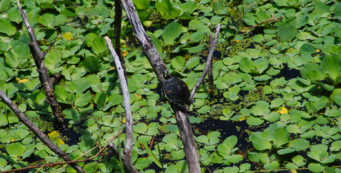 Expect to see them anywhere and everywhere along Florida's trails. Along Lake Wauberg- A wander along Lake Wauberg to the symphony of Archie Carr's favorite frogs brought memories flooding back of gentler times. Gator growl at La Chua- In the heart of Gator Country, a deep sinkhole swallows the waters of Paynes Prairie at its northeastern rim in Gainesville: La Chua Sink. A brand new boardwalk now provides a closer look. Gator time at Alachua Sink- Alligators are in abundance along the La Chua Trail at Paynes Prairie Preserve State Park, so it shouldn't be a surprise that we saw some of them mating. 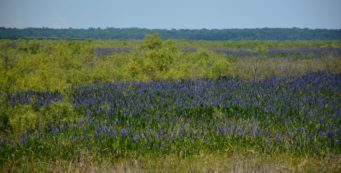 Paynes Prairie in purple - Resplendent in the royal purples of pickerelweed blooms, Paynes Prairie is a showy place to cross as spring fades to summer. Wild horses on Paynes Prairie- That magical moment when you climb to the top of the observation tower on the rim of Paynes Prairie and see the wild horses on the prairie for the first time: priceless.